These sources then allow the user to further drill down into possible root causes relating and surrounding that source. 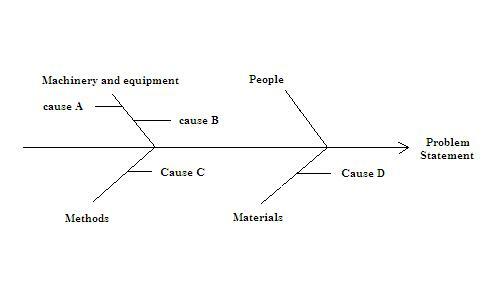 Once the fishbone diagram is complete and all possible causes regarding each source have ben recorded, the inidiviual causes or hypothesis are tested to see if they are valid causes. This process should then lead to one or a few actual causes of the problem.